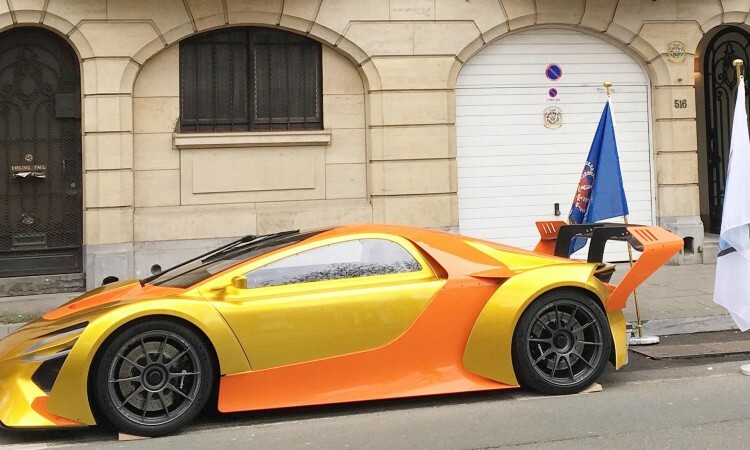 Brusselslife has new neighbors on Avenue Louise, the Union Arab Nations and their 100% electric car. The Union Arab Nations is an international organization working for the service of humanity worldwide. This organization is a partner of the United Nations, the European Union and the African Union but it is especially the new neighbor of Brusselslife! This morning, while going to the office, the Brusselslife team was able to admire a "Batmobile" type car outside its door. This car is fully electric and manufactured in the Middle East. Yellow / orange, it attracted the attention of all passersby. This allowed the Union Arab Nations to inform the workers and inhabitants of the Legrand district in Ixelles of the opening of their office ... and it is a bet won because we talk about it!